- Buy Automatic PET bottle blowing machine from Zhangjiagang Modern Machinery Co., Ltd.
1.This full automatic PET bottle blow molding machine uses automatic perform input and ready bottle output system. 2.This machine adopt with the overall structure of super-standard anti-vibration design, high-speed operation state of the machine will shake down to a minimum. 3. 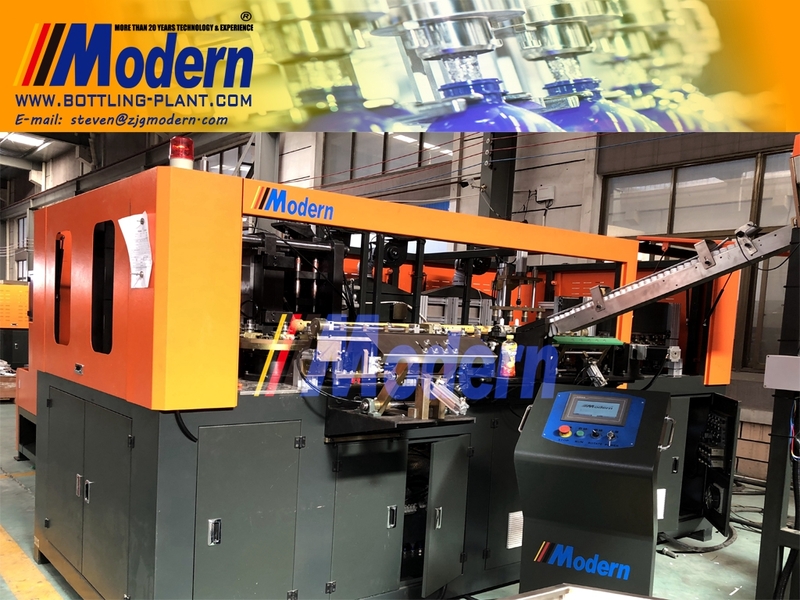 Machine adopts modular assembly method, greatly decrease the local amendments due to technological improvements when the machine is on processing. 4.The structure of machine oven adopt the international most advanced energy-saving technology of infrared radiation heating, temperature control with automatic negative feedback, closed-loop regulation model. 5.Automation controlling item adopts international high-end computer system, heating, collecting and measuring perform temperature with simulation input and output module. 6.Man-machine interface displays current production situation, available for on line switching, parameter modification and production accounting, with automatic alarm, automatic fault detection and diagnose. 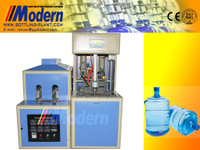 7.Storing more than 7 kinds specification for making bottle. 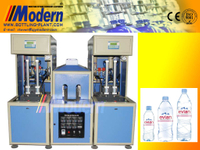 8.Adopt latest international air pneumatic. 9.In order to save air, we choose high pressure blowing exhaust recovery system, which can save energy by 10-15%.